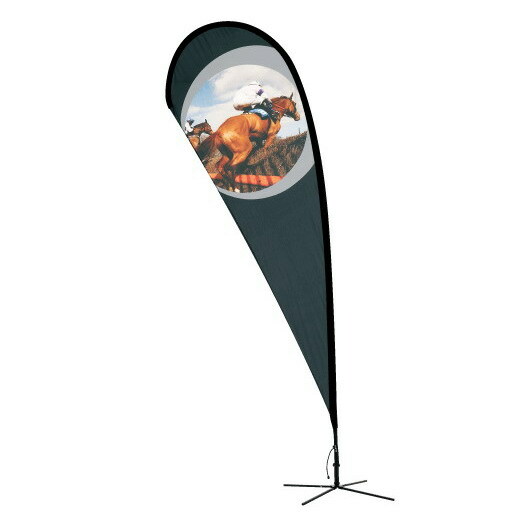 Choosing a flag type and size is only the beginning of finding the right banner display for you. There are other factors which need consideration before making your final choices, these relate to the surface you are going to be placing your banner on. The following information is designed to help you make the right choice regarding your flag display. See more of our flag range here. The difference between these three banners comes down to design, they all have the same high quality construction and printing methods. So it's simply a matter of the styling you prefer. Whether it's the rectangular feather banner, the triangular with rounded top flying banner or the wing banner which looks just like its name suggests. Which flag size is best. Again, this is a matter of personal preference but there are a few factors to consider. If you are going to use the flag at an exhibition or an outdoor event, you should consider the space you will have on your stand. A large flag on a small stand may dominate whereas a small flag on a large stand might be lost. If you are going to use it at your workplace or as a permanent display then there are regulations concerning the use of flags as advertising which you would need to consider. A guide is available at http://www.communities.gov.uk/documents/planningandbuilding/pdf/326679.pdf but you may need to contact your local planning authority for specific advice. 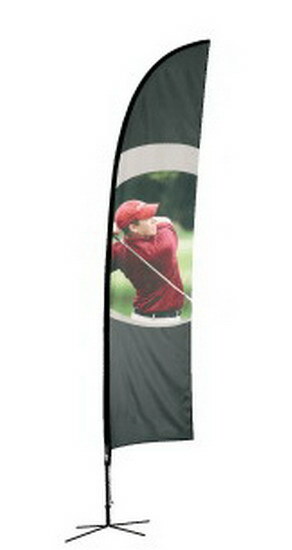 We supply our banners in various formats. We have created a number of kits suitable for different scenarios, which include all you need to get started. For example one of our kits is designed for use on grass and soft surfaces, so we include a ground stake with the kit. However, we also have a kit which starts with just a banner and lets you add accessories as you require them. Following are a list of accessories to consider when purchasing a these banner dependant on where you are planning to use your flag. 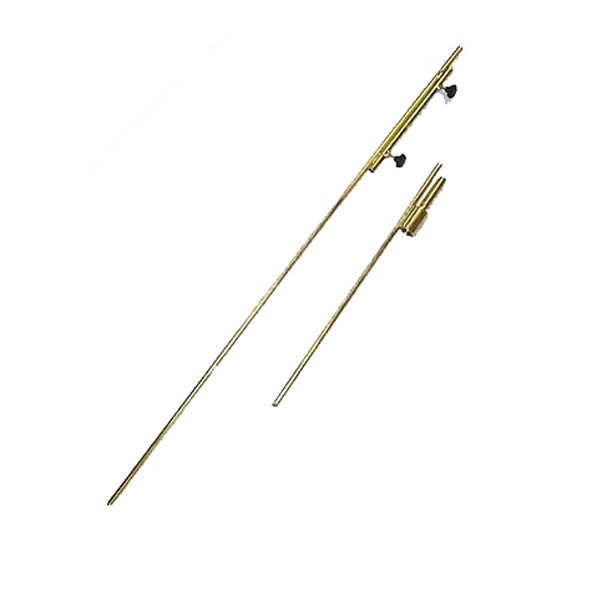 Grass or soft surface - You would need a ground stake, the standard version is suitable for all flags up to those in excess of 6m which require a more robust version. Hard Standing - You would need a base of some description. For indoor use, a fixed cross base or a rubber base would be enough. 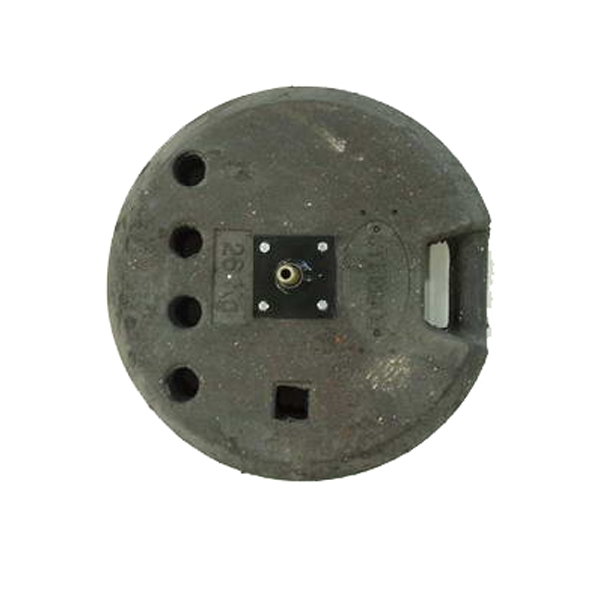 For outdoor use you would need a rotating cross base or a rubber base with a rotating spindle. For the extra large flying and wing banners an additional rubber base or water bags would be needed to support the banner. 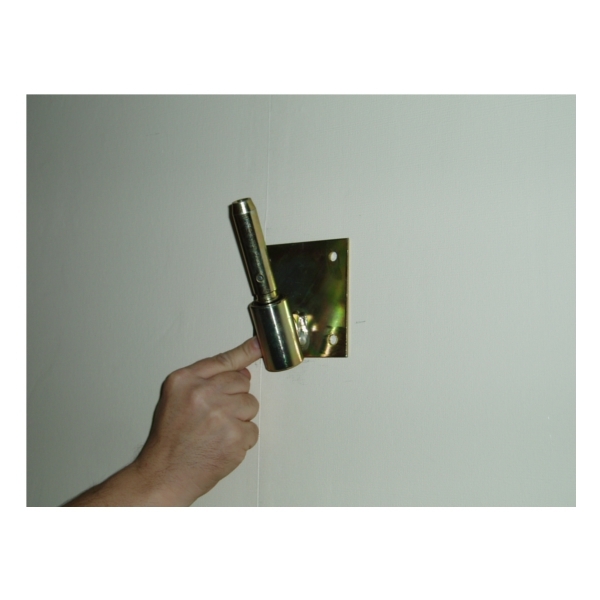 Wall Mounting - Firstly, wall mounting is not suitable for the extra large flying and wing banners. There are two mounting options for the remaining flags. A vertical mount where the flag will go straight up from the mount or a 28 degree mount where the flag protrudes forward and upwards at an angle to the wall. Both these options then have two options depending on whether you are going to mount your flag indoors or outdoors. We hope this guide has helped you decide which flag display is right for you. But please call our Sales Team on 01933 411159 if you have queries about anything you have read or if you have any further questions.